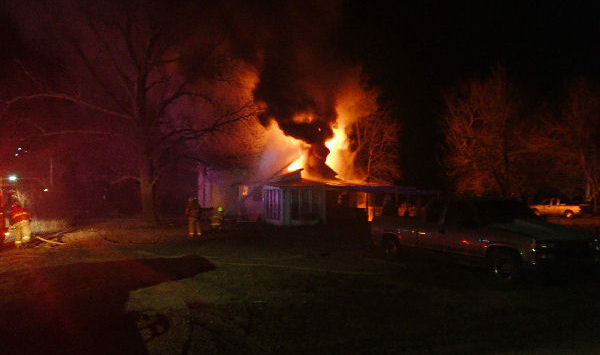 A fire destroyed a home in the Saline County community of Gypsum. 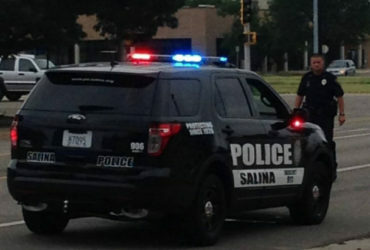 According to the Saline County Sheriff’s Office, on March 16th, shortly after midnight dispatch received a call from 700 block of King in Gypsum. Sean Corbett (44) and Tina Tanner (53) reported that their home was on fire. 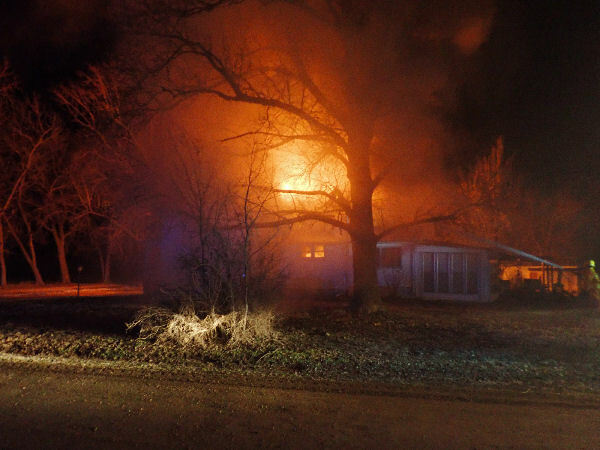 Both victims were able to exit the home unharmed but the fire destroyed the entire home. Rural Fire District #1 and the Gypsum Fire Department worked hard to put out the fire as quickly and safely as possible. The home itself was estimated to be valued at $55,000, the personal loss is unknown. When the fire was first spotted it was in the area of a water heater and the house has had recent electrical issues although the cause of the fire has yet to be determined. Side view of the home, 702 King, Gypsum Ks.